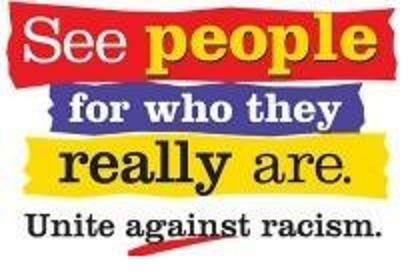 Unite Against Racism: See people for who they really are, is an anti-racism campaign launched in November of 1999 by Canadian Race Relations Foundation. The campaign as part of its attempt to create awareness and connect Canadians in a national level to engage in anti-racism efforts included works of producers and directors across Canada. The works of the producers depict various aspects of racism and its affect on Aboriginal and racialized minority communities across Canada. In 2009 in partnership with OMNI television, the campaign in its efforts to create broader awareness and outreach produced public service announcements in languages including Portuguese, Spanish, Italian, Mandarin, Tamil, Cantonese and Polish. A 30 minute documentary Directors Speak by Rion Gonzales produced by Gail Picco was also created to include a study guide that includes visual material to aid campaign. Information on the directors; Paul Wong, Cynthia Lickers, Rion Gonzales, Michael Davis and Dana Inkstar, the study guide and access to the public service announcements can be found on http://www.uniteagainstracism.ca/.